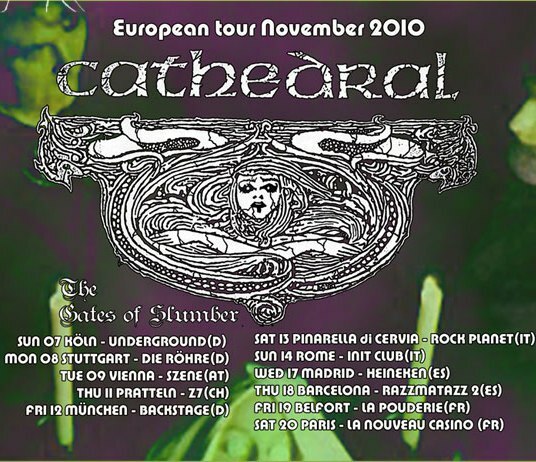 Cathedral has always been a very special band to me: one of the first metal concert I ever attended was Cathedral in 1996, during The Carnival Bizarre World Tour. Tonight Cathedral were playing at Le Divan Du Monde in Paris, promoting their latest record, The Guessing Game. 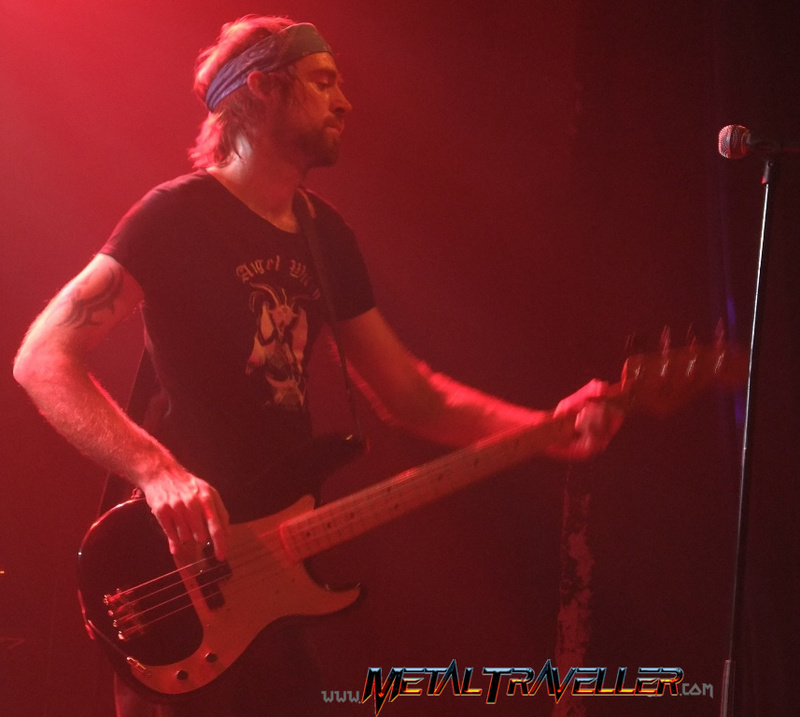 Just 3 days after the Lynch Mob concert I was back at Le Divan Du Monde. I think the place was not completly sold out, but they got really close. And for good reason: In 2010 Cathedral were also celebrating their 20th anniversary! Also, this was the last date of short Guessing Game European Tour, before the 20th anniversary concert in London. At this London show they'll perform a normal set... plus the entire Forest Of Equilibrium album with original members Mark “Griff” Griffiths, Adam Lehan and Mike Smail. Back to Paris now. This show was probably the best Cathedral show I've seen. The atmosphere was magical. 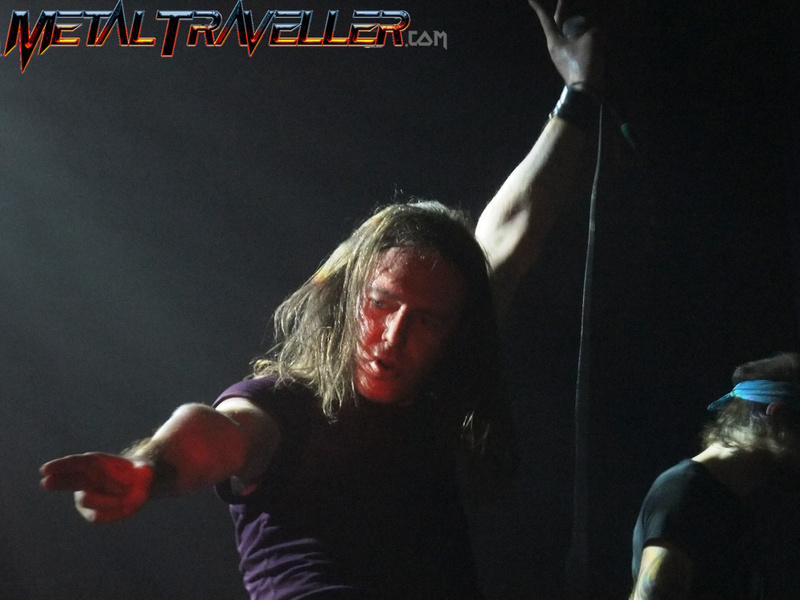 After a the intro, band members came on stage one by one, and Lee Dorrian stated about the show to come: "Bonsoir Paris. We are Cathedral. This is a funeral!". What better words to describe what they had prepared for us? There were few lights so the stage was quite dark, and the sound was heavy and dense. 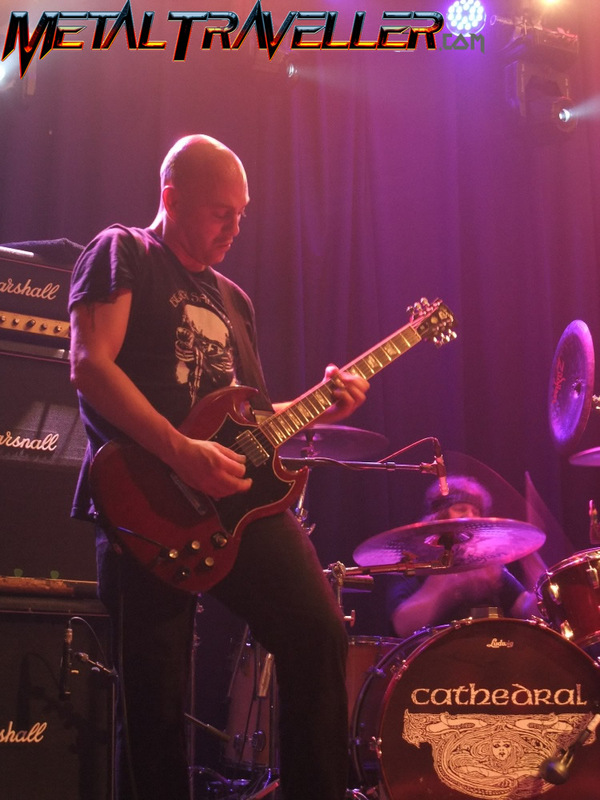 By the way, guitar player Gary Jennings was wearing a Black Sabbath T-shirt. Leo Smee had an Angel Witch shirt. 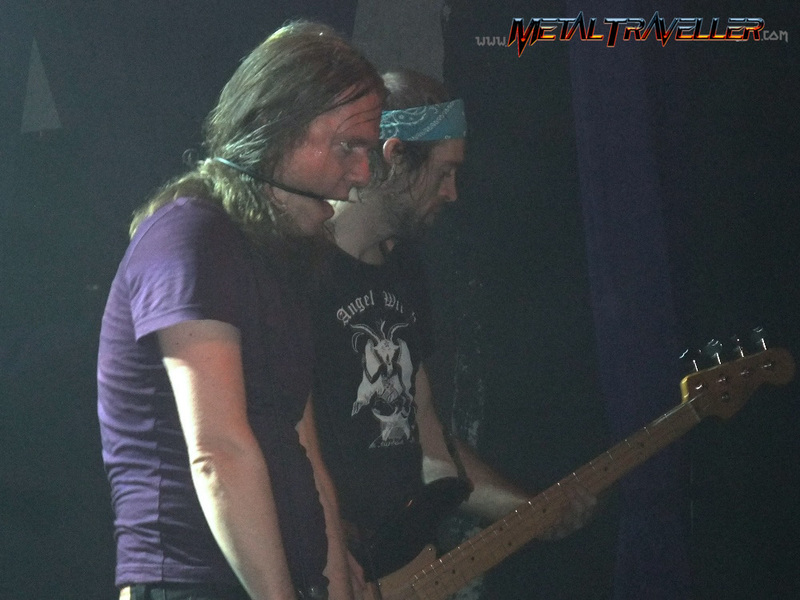 Lee Dorrian has many particular gestures on stage. The way he moves can be almost scary. Somethimes he moves like an animal chasing his prey, observing deeply the audience. Sometimes when he's pulling faces that one might think he's possessed, especially during the song Night Of The Seagulls. He plays with the microphone wire, putting it around his head and mouth during Enter The Worms, or around his neck as if he was hung during the song Hopkins. Cathedral were a 5 piece band tonight, it was the first time I've seen them with a keyboard player. He didn't play all the songs, but his parts were very useful on some tunes. It's better to have real instruments than samples! 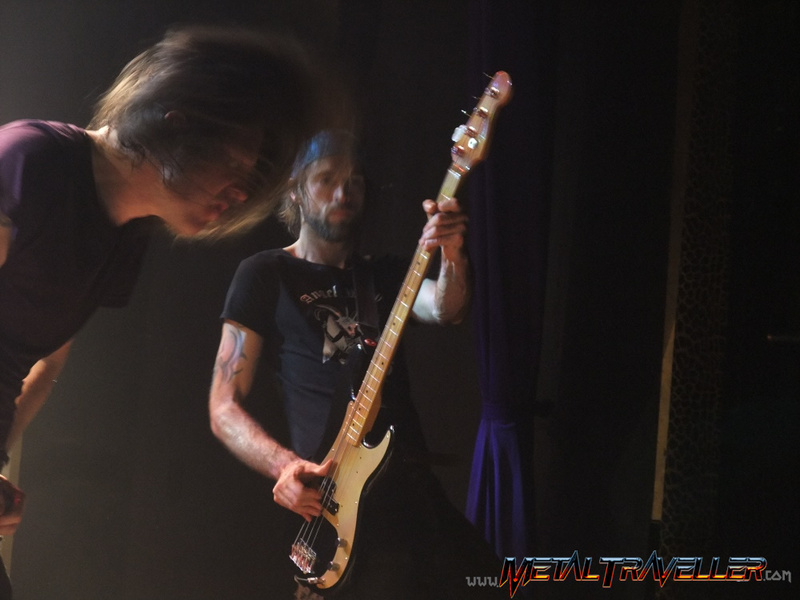 Brian Dixon's drum parts are quite complicated, and the guy plays great both, the fast and the slow parts. He keeps the right doom tempo for the band! Cathedral's setlist was just great! 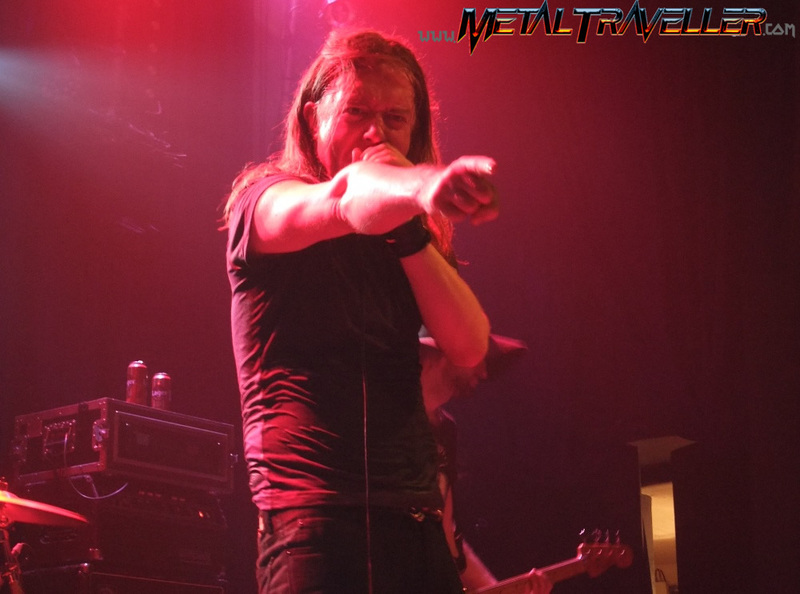 It was a surprise when Lee Dorrian announed a song that they hadn't play for a long time, and told us to "climb high to Mindnight Mountain!". They played a great version of the song, with a really cool bass solo from Leo Smee. Later, there was also a very fine guitar / bass duel during Cosmic Funeral. 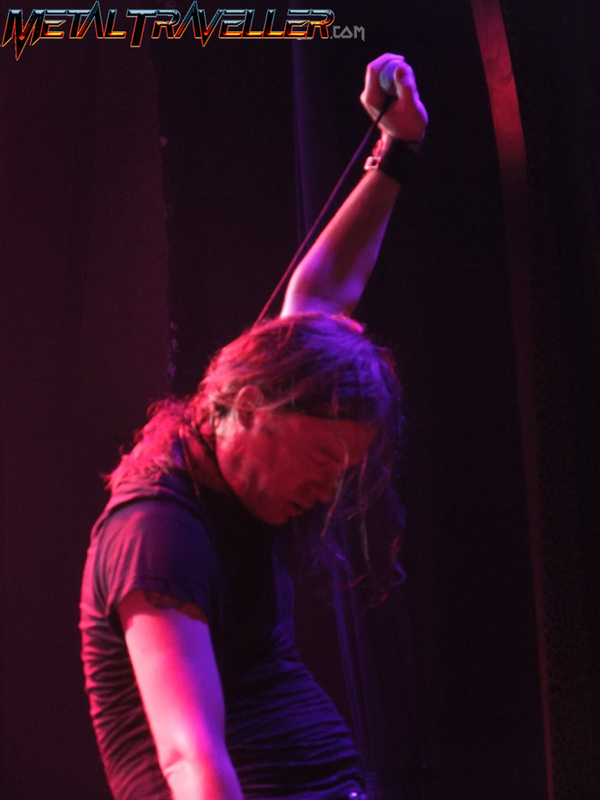 Lee Dorrian gave the microphone to a fan, so he sang part of the chorus of their hit Ride. Cathedral even played one more song that was not on the setlist: Vampire Sun. When they came on stage for the encores they were just supposed to play Hopkins, that's what they have written on the paper. But instead, we had a keyboard solo followed by Vampire Sun. A band adding songs to the setlist while playing their show? That's quite rare nowadays, and I loved it! After this one, Lee said "Now it's time to forget about all the nice things we shared tonight". You know who came: Matthew Hopkins the Witchfinder General! The concert ended with a great version of this song. 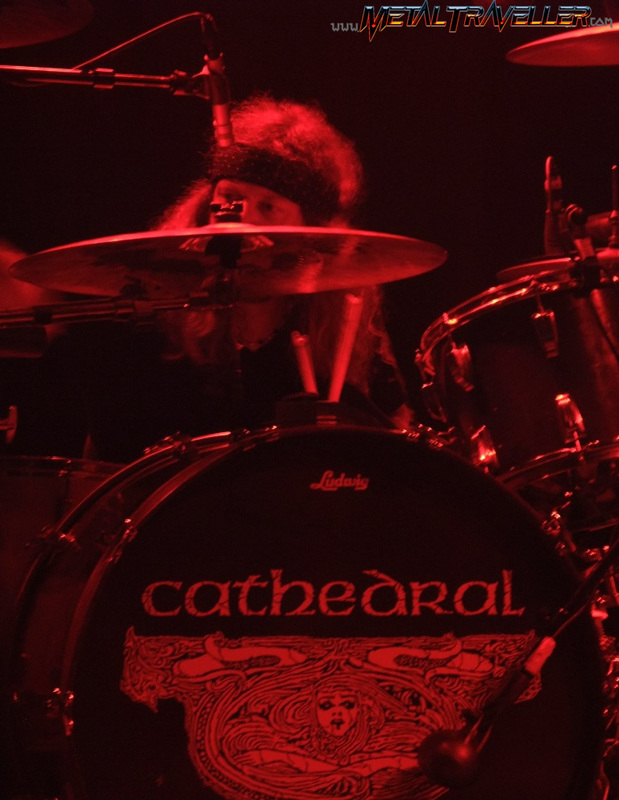 Cathedral are masters of Doom Metal. 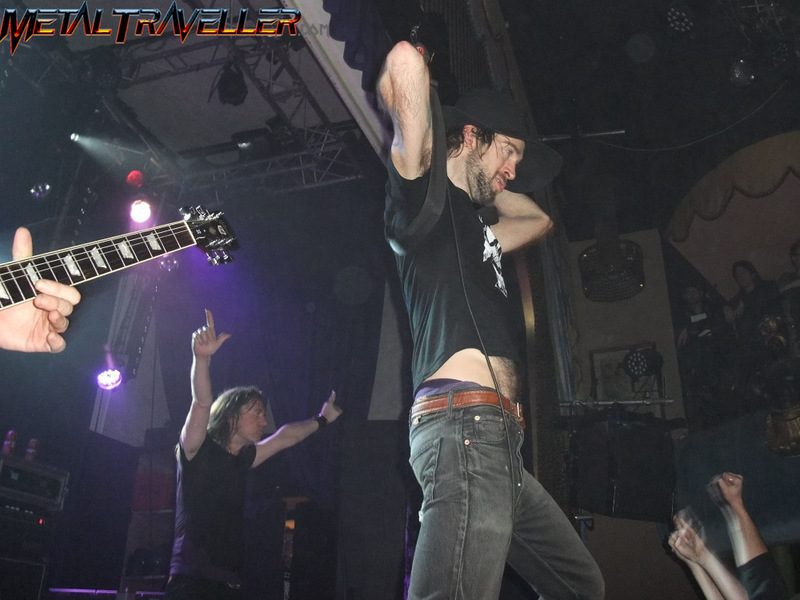 They're an intense live band, and they have been composing great albums for 20 years. So happy birthday to Cathedral, a band I hope they keep on doing good albums and shows for the many years to come!